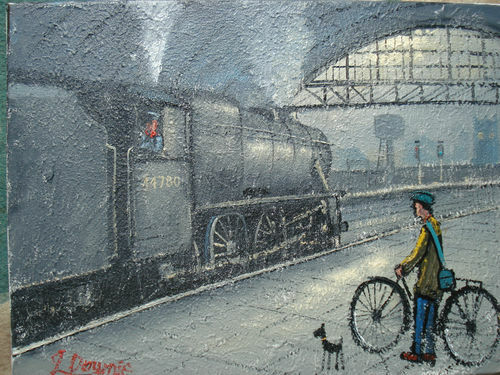 Our artists have a great range of railway art as you can see within this page. 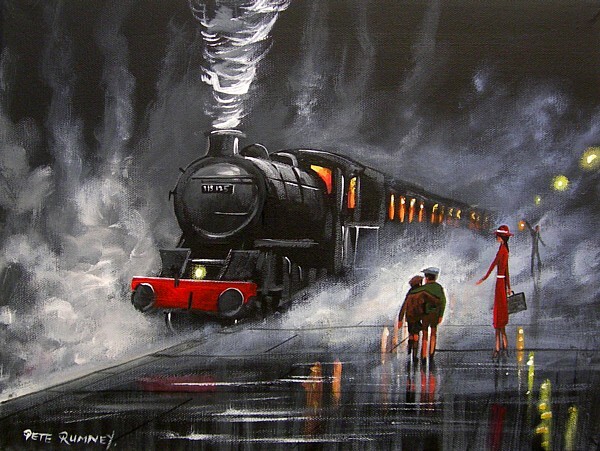 Our locomotive painters create fantastic unique train paintings in a nostalgic setting. 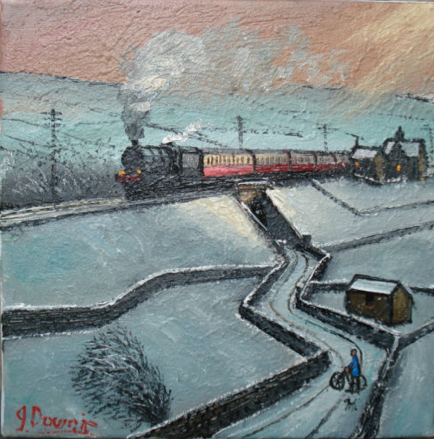 The Gallery below feature the work of James Downie and Pete Rumney among others.
" 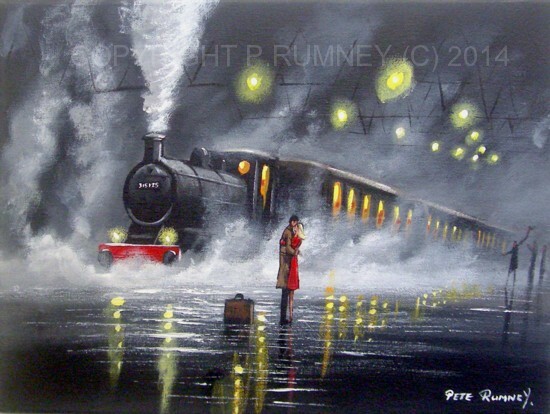 LEAVING ON A TRAIN "
If you are looking for gallery quality railway prints then Zazzle has some customizable train pictures as seen below.